A new survey to explore potential oil reserves is expected to begin in an area jointly managed by Seychelles and Mauritius. The chief executive of PetroSeychelles, Patrick Joseph, told SNA on Tuesday that both countries want to exploit potential resources that may be present in the Joint Management Area (JMA). “To achieve this, we need to know what is there. This can be achieved through conducting seismic surveys as a first step and drilling later. The best way to get the data acquired is through a multi-client survey whereby a seismic contractor undertakes the survey at their costs and sells the data to multiple interested parties,” said Joseph, who added that Seychelles and Mauritius benefit from getting a copy of the data and a share of revenue from the data sales. The seismic survey will be undertaken by a United Kingdom-based company. Spectrum Geo is a company with vast experience in undertaking such multi-client surveys and they were selected through a competitive tender process. It's not yet known when the survey will begin. The Joint Management Area is the mechanism of joint jurisdiction between Seychelles and Mauritius over an area of the seabed and its underlying sub-soil in the Mascarene Plateau Region. It excludes the water and living organisms above the shelf. A treaty was signed in 2012 and the two island nations secured rights to additional seabed covering over 400,000 square kilometres in the Indian Ocean. The process involved the preparation of a joint continental shelf submission to the Commission on the Limits of the Continental Shelf under an internationally agreed process established by the 1982 United Nations Convention on the Law of the Sea. 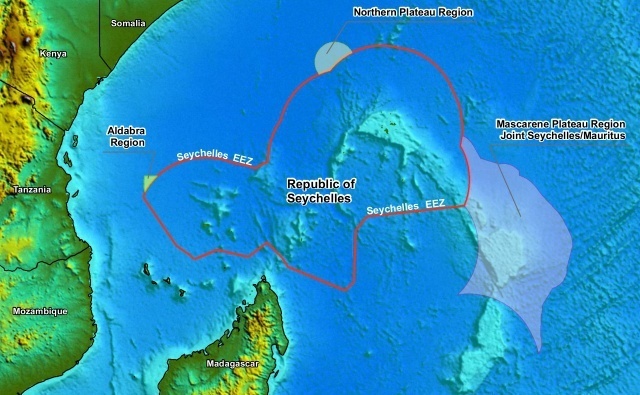 Seychelles and Mauritius have established the world’s first Joint Management Zone covering such an area, and a Joint Commission to coordinate and manage the exploration, conservation and development of the living and non-living resources of the seabed in the area. Joseph said meetings with their Mauritian counterpart on the exploration have been held. “All activities in the Joint Management Area are governed by the Treaty that was signed between the two states. Discussions are ongoing on a regular basis,” explained the chief executive. But what will happen if oil is discovered? “If oil is found, the company will need to appraise the discovery to see whether it is commercial and if so, submit a development program,” said Joseph. For now, it is not known when exactly the survey will start, but Joseph said this will be as soon as Spectrum Geo completes their pre-marketing exercise. A Joint Commission meeting and a Technical Committee meeting is expected to be held in Seychelles – a group of 115 islands in the western Indian Ocean - in December. Currently, Sub-Sahara Resources Limited (SSRL) – an Australian company has started oil exploration in the Seychelles waters. Until last year, the Japanese National Oil Company (JOGMEC) was the only company undertaking exploration activities in Seychelles’ waters. The company’s license expired in February.